After a six-month search led by the New York-based firm Phillips Oppenheim and an Academy search committee (led by Trustee Linda Ahlers), the Honolulu Academy of Arts is excited to announce today that it has a new director! 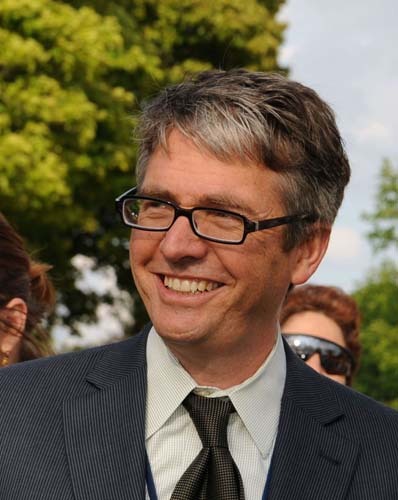 Stephan Jost is currently the director of the Shelburne Museum in Vermont, where he has been for the past five years. He starts at the Academy on May 2. I had the pleasure of meeting him during his second interview with the Academy. He is energetic, savvy, humble and gregarious. And he turns 42 on Saturday. Why was he a unanimous pick by the search committee? Vermonters are missing him already. Check alternative Vermont paper Seven Days’ hilarious blog post about his departure. I know we’re going to love him! Stephan Jost is one of the best directors and I admire him because of his true talent.